Fifty Shades of Grey is back in the headlines. After a summer filled with nothing but gossip and speculation, the powers that be finally announced who would be playing Christian Grey and Anastasia Steele in their highly anticipated 2014 production. The reception that Charlie Hunnam and Dakota Johnson may not have been particularly warm, but it wasn’t exactly extraordinary. It was certainly no worse than what Ben Affleck got when he was announced as the next Batman. That being said, last week, Hunnam dropped out of the movie. Nobody is quite sure why he did it and why he chose this specific time to do it, but the move left producers scrambling to fill a major void. Much as was the case this summer, all sort of names are flying around for the part of Christian. Some are the ones people are used to hearing, like Matt Bomer and Alexander Skarsgard. Others, however, are a bit new. EW: Before I could make sense of any of it, I read that Oliver Stone told The Wall Street Journal that Leonardo DiCaprio was his choice for the coveted role. At first, my thoughts reflected my feelings about Ben Affleck being Batman: No, thank you. But after some soul searching and many Google Images, I can’t help but think DiCaprio would make one intriguing Christian Grey. It’s definitely a film I would see, and here’s why it would work. E! : "A source confirmed tonight to E! News that the studio has "expressed interest" in Arnaud." 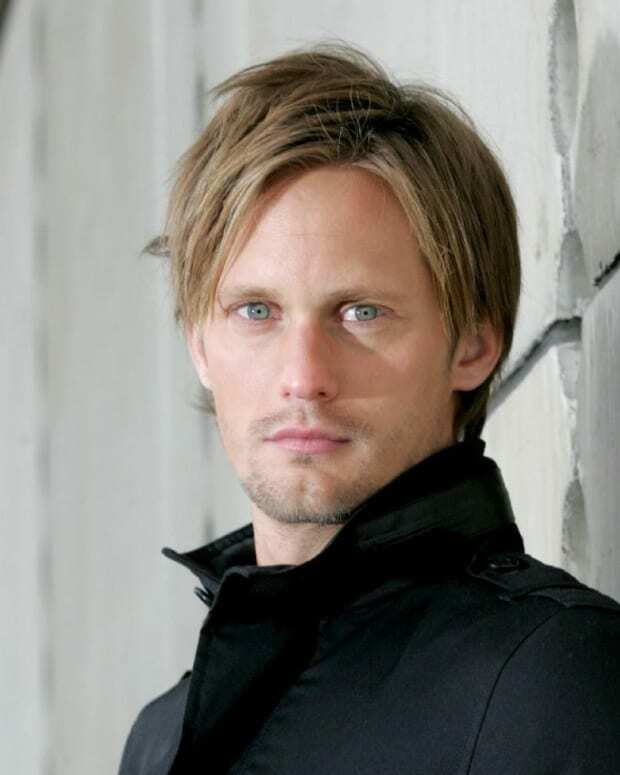 Guardian: "Alexander Skarsgard of the supernatural-themed HBO television series True Blood and Jamie Dornan of Belfast-set BBC drama The Fall are the new frontrunners to replace Charlie Hunnam in Sam Taylor-Johnson&apos;s Fifty Shades of Grey." Fifty Shades of Grey Movie: Charlie Hunnam Not Really into Playing Christian? Fifty Shades Of Grey Movie: Matt Bomer to Replace Charlie Hunnam?